Mixes the greys and brown you see in the vintage barn that’s the perfect backdrop to all your family photos. A subtle soft blend of light and medium browns found in your favorite Adirondack Chair. These deck boards draw you in, encouraging you to relax and enjoy the allure of the outdoors again. Relax and reminisce on your deck that provides the same comfort and contentment found when curling up on your grandma’s wicker chair set listening to your family share stories of their day. Pick from three multi-tinged color options within the Inspiration line, each that emulates the natural coloring found in the trees in your backyard to the most exotic trees. 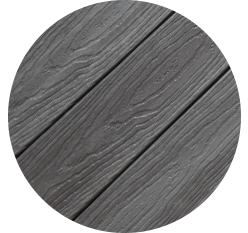 Where no two boards look exactly the same – from browns, to reds and even greys – the Inspiration line fits your tastes without the frustration of staining your wooden deck boards. *Before making your purchase, view several full length boards. Representation of these colors is as accurate as modern technology will permit. As with any composite product, color variations will occur. 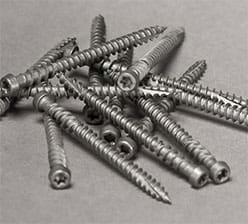 View several full length pieces of material prior to selection and installation. Colors will usually weather to a lighter shade within the first several months of exposure to the environment. Color selection may vary across profiles. Two-tones of softly blended hues create the warmth and character of natural wood. Compression process creates a physical bond between the outer layer and core board to help prevent delamination. 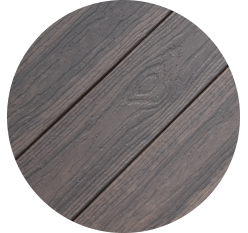 Compression molding allows for deep grain wood-like texture and more random patterns for a more natural wood look. Bonded outer layer adds durability for everyday life. 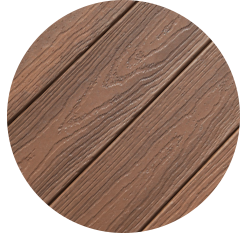 Envision® and EverGrain® decking products are nonstructural products. 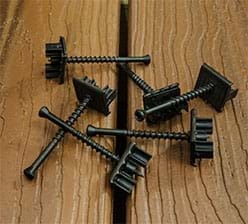 These decking products should not be used in structural manner, including use as joists, load-bearing columns, stringers or beams. Actual size may vary +-1/16″.